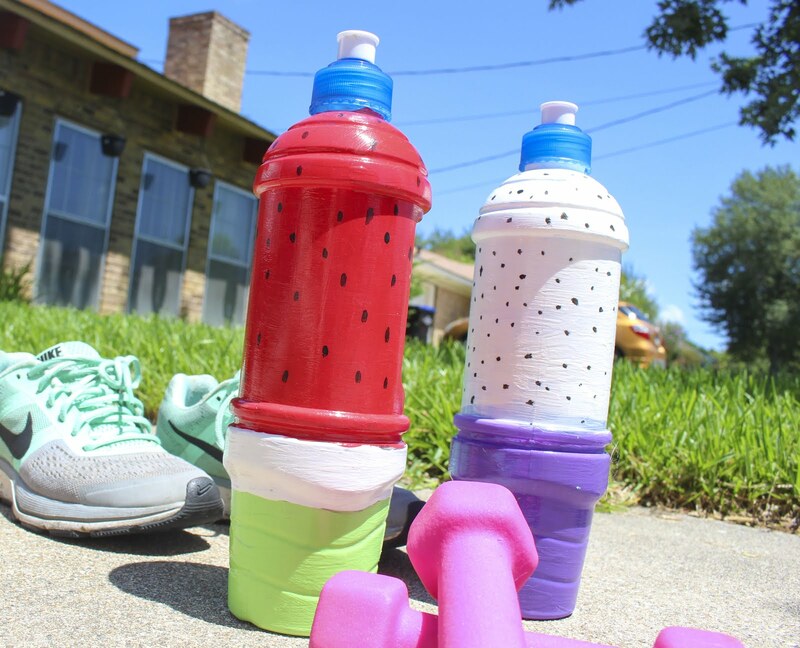 Staying hydrated is super important, especially if you live in the South! I can't actually tell you how many times I've had to go to the hospital for dehydration. 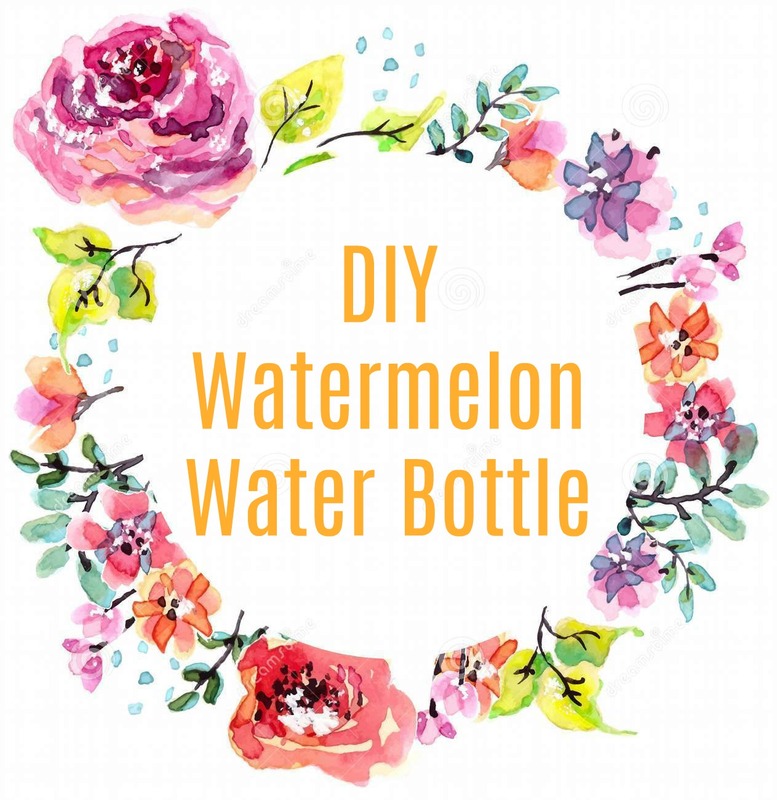 Thankfully, with this cute DIY watermelon inspired water bottle, I feel super inspired to always be drinking! For this tutorial, watermelon is the inspiration for the water bottle, but of course, you can create any fruit you want! 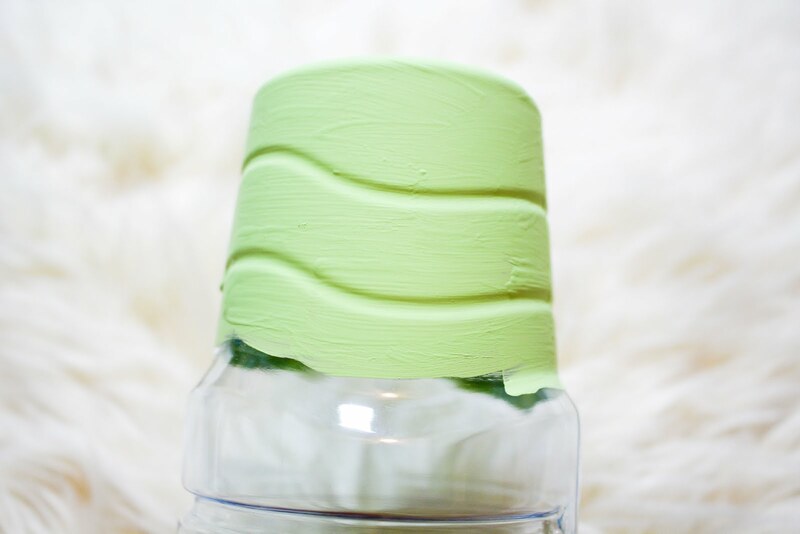 To begin, Paint the base of the bottle green. 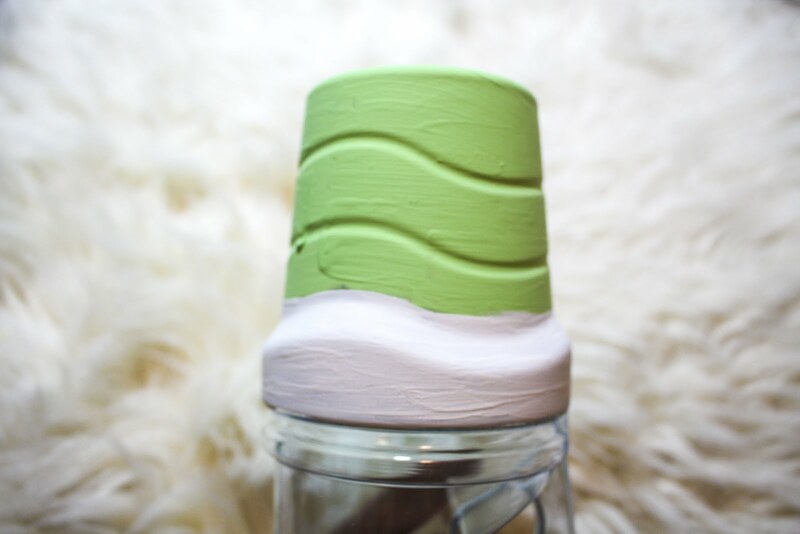 Next, paint a smaller section white. Then paint the rest of the bottle red. 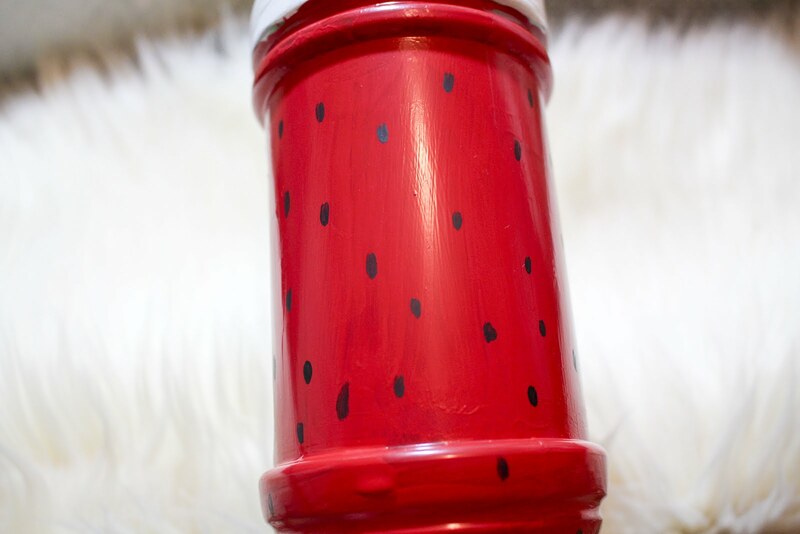 Once the red is dry, take a small paint brush and black paint and add little "seeds" on top of the red portion. 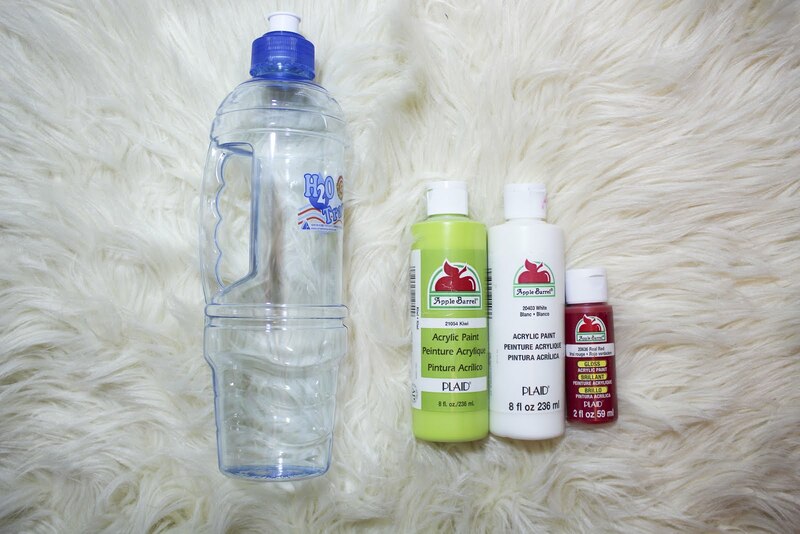 Once all your paint is dry, take your glossy mod podge and give your bottle a nice covering that will seal in the paint and help it be water resistance! That's it! 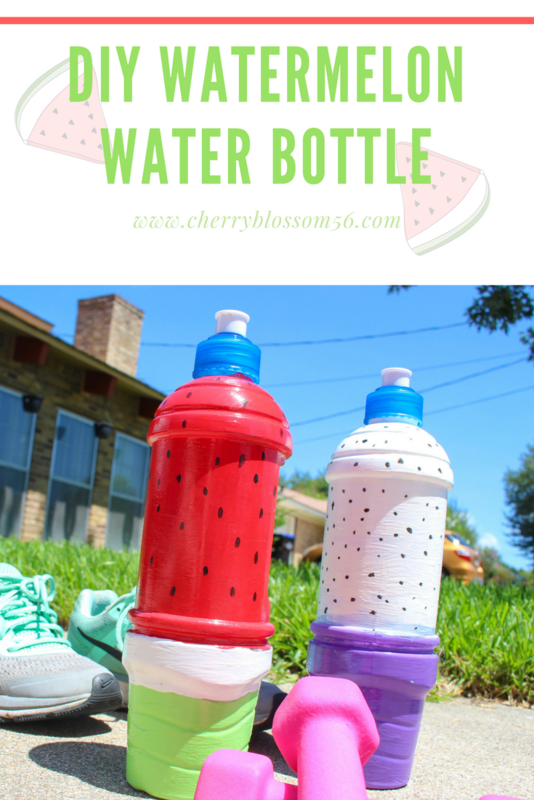 Now you're ready for a run with your cute DIY watermelon water bottle! Stay Hydrated y'all!